Yes, snuggling-up (lepel-lê) is stunning – but not with alcohol. I knew that this was lying between my husband (René) and myself, but I decided to participate because of the way my husband caressed, protected and snuggled up to alcohol. At the beginning I was not sure whether he was abusing alcohol. I wanted to keep the peace and to protect my children? what would friends, neighbors and family say? Therefore I abstained from doing anything to stop his drinking. I realized later that it was no longer just snuggling-up to alcohol and covering the affair with blankets. Alcohol was the BOSS in our home, and it was time to look for help. Who do you turn to? Who will understand? He is such a â€œniceâ€ guy! Yes, he does drink, but surely all guys drink. If you drink until you go to sleep and in secret in the mornings when you get up-in order to get rid of most of the â€œtremblingâ€, you should realize that THE WRITING IS ON THE WALL. Then I decided we cannot snuggle-up with alcohol any longer and that something had to be done fast! The lives of our whole family were being influenced badly. It came to a point where I had to do something drastic, but the wrong choices were made every time. In the beginning I coaxed, but eventually accusations were passed back and forth, which did not do anybody any good. We could not solve the problem between us in this way. Everybody was consumed with guilt feelings. My husband felt guilty about what he was doing and he made me feel guilty, because somewhere I was doing something wrong … why else was he drinking so heavily? In this way it became a vicious circle. Then he PROMISED that he would stop, because HE COULD. Today I realize that he was very scared of the withdrawal symptoms that he would have to endure. He was under the impression that we would remove all of the liquor immediately if he acknowledged that he had a problem. Three days later the same evil circle stared again. Today I know which was the correct method to use: I should have used the METHOD OF INTERVENTION. A Knock on the door one evening opened new doors for us. That evening I was led by the Holy Spirit to be honest with my husband’s employer, and it was a turn for the better in our “snuggling-up” relationship. My husband was more surprised to see him than I was myself. To cut a long story short, his employer had realized that René had an alcohol problem and offered to help him. René of course denied this and looked at me, pleading with his eyes to help him. But that evening I was honest and put the problem out in the open in order to have it analyzed. No matter how shy I felt! I will never forget the shock and surprise on René’s face when I turned against him. Jesus, as faithful as He is, made sure that it was the beginning of the break with alcohol for my husband. And now, 33 years later, I can only say: “Thank you, Jesus!” We still like snuggling-up with each other, but definitely not with alcohol as our companion. Thank goodness that a method of intervention, as described in this book, does exist. IT WORKS!! Lessons which I have learned while snuggling-up with alcohol. 1.1 Do not use the word alcoholic but refer to him/her as the dependent person. 1.2 A Rehabilitated person is a wonderful father, husband and friend. 1.3 Never run your husband down in front of your children: Alcohol is the scapegoat. 1.4 Stand by him when he tries to abstain, although you know it might last for 2 days only, encourage him and tell him that you are proud of him. 1.5 Everything will not be moonshine and roses when the rehabilitated person leaves the clinic. There is still a long road ahead. Be patient! 1.6 You have to learn to trust him again unconditionally. 1.7 When he wants to take over certain decisions and responsibilities, you have to stand back. He may experience a major problem with deathly silence (“stilstuipe”) at times, and at other times he can not stop telling everyone how wonderful it is to be without liquor. This does tend to happen. I was fortunate enough to be raised in a Christian home as one of four siblings. In those years, the fifties and sixties, we were fortunate in the sense that our parents, their friends, as well as our own friends were mostly Christians and as a result one easily stayed on the straight and narrow path. At the age of 12 I accepted Jesus Christ as my personal Saviour and Redeemer at the end of a Pentecost service. My spiritual life was secure in Jesus and it went well with me. There was only one problem: I stammered. In primary school the teachers had “helped” me by not asking me to read aloud in class or not expecting me to answer any questions. In high school I took full advantage of the situation and later the teachers did not expect of me to speak at all. Wonderful! After that I did not have to do any homework anymore! In St.9 (Gr.11) a few of my friends and I got a bottle of vodka. It was one of the most wonderful experiences that I had up to that point. For the first time in my life I could speak without stammering at all! The effect that alcohol had on my body was fantastic! I felt â€œrelaxedâ€ and in total control of myself. In 1971 I married Pikkie Krynauw. Even though she was a wonderful woman (and still is), my drinking pattern did unfortunately not change after our wedding. In contrast, it slowly became worse so that by 1975 it had reached the point where I HAD TO drink every single day. It is incredibly bad when you know that you are being held captive by alcohol, but you do not know how to escape out of its grip. My work, family, friends and especially my relationship with Jesus Christ suffered. Althoug I in all honesty really tried to stop, I simply fell back into alcoholism quite a few times. Promises to stop are broken. You lie and deceive about your drinking. You learn to be cunning. You drink alone. You always have a bottle hidden somewhere: under the car seat, in the garden between the plants, in a rolled up carpet, in your desk at work… everywhere! Fortunately the manger at my work saw me quietly drinking from my car’s boot at a work function one night. He came to my house in 1977 to confront me with the facts and for the first time Pikkie spilled the beans. I was also tired of the alcohol and had wanted to stop a long time ago, but I feared the withdrawal more. Still, I agreed to get some help. Because of my job I could not go for full-time treatment and only went to an institution after hours for the necessary medication and encouragement. But it was not easy. In the beginning I only endured from one hour to another and tried my best not to fall back. Later it went better and I then endured until lunch and then again until I went to sleep. I did unfortunately fall back a few times, but I believe that Jesus Christ saw my sincerity and on 15 October of that year He delivered me of my alcohol dependency once and for all. He even helped me to overcome my stammering! I was so serious about not drinking again, that I attended meetings on Tuesday, Wednesday and Friday evenings. With Jesus’ help and other friends from the CAD (Christians Against Drugs) I learnt to stay sober. 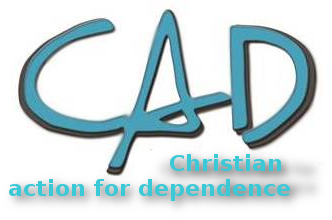 I still attend two meetings of the CAD each week, not only to stay sober, but also to share what Jesus has entrusted to me with others. Today, I still stay sober for only one day at a time. In the mornings I ask Jesus to help me through the day and at night I have every time so far had the privilege of thanking Him for helping me conquer the challenges of the day. Today, Pikkie and I are the proud parents of three married daughters and eight grandchildren. I will certainly never exchange this life for one in which alcohol controls me!